Chamberlin was born in Joliet, Illinois, one of six children. His father and his older brother Paul were both active in jazz bands, playing clarinet and drums respectively, and his brother Paul is still an active rock drummer, with a local cover band, Chasing Amy. Chamberlin began drumming at age 9. His early instruction included Latin, Brazilian, and big band techniques, but focused on jazz, under the tutelage of future Yanni drummer, Charlie Adams. Chamberlin left home at age 15 and joined a series of local bands. Although his early music career proved profitable, Chamberlin's father pressured him into going to college. In 1994, Chamberlin revealed that he had been estranged from his father for seven years. After three years with the show band JP and the Cats, Chamberlin, wearied by the touring schedule, quit and got a job building custom homes with his brother-in-law. Before long, he joined the Smashing Pumpkins. So I went out and saw the band – Billy, James, and D'arcy – playing at Avalon with a drum machine. Man, did they sound horrible! They were atrocious. But the thing I noticed was that not only were the song structures good, but Billy's voice had a lot of drive to it, like he was dying to succeed. So I ended up driving from work every Wednesday to rehearse with them. He was wearing a pink t-shirt, stonewashed jeans, he had a mullet haircut, and he was driving a 280Z, and had yellow drums. We were sort of looking each other in the eye thinking, 'This ain't gonna happen, this is not the guy.' [But] he'd learned all our songs, as only Jimmy can, off the top of his head, and, within one practice, we were ready to play. It was amazing. We just knew right away. He's that good. Chamberlin made "tons of cash" as a carpenter, before giving up the job to move to Chicago and devote himself to the band. Chamberlin's entry quickly pushed the band toward a more powerful, intense sound. The first two Smashing Pumpkins albums, Gish and Siamese Dream, were performed almost entirely by Corgan and Chamberlin alone. During this period Chamberlin struggled with substance abuse. During the recording of 1993's Siamese Dream in Marietta, Georgia, Chamberlin often disappeared for days at a time into the drug underworld of Atlanta, while the rest of the band feared for his life. He later said of his drug addiction that "It's pretty textbook [...] Guy makes it in rock band, gets very full of himself, starts thinking he's indestructible, and all of a sudden he destroys himself." In the midst of the lengthy world tour supporting 1995's multi-platinum Mellon Collie and the Infinite Sadness, Chamberlin's father died, and his substance abuse hit a fever pitch. Of this period, Chamberlin later said, "I learned that escapism was better than emotion, and that's where I hid... It got to the point that I really didn't care. Life was scary for me." Prior to shows scheduled July '96 at Madison Square Garden in New York City, Chamberlin and touring keyboardist Jonathan Melvoin overdosed on heroin; Melvoin subsequently died, and Chamberlin was kicked out of the band, ostensibly to protect his health. Corgan later told MTV News that Chamberlin had already overdosed on two different occasions during the Mellon Collie tour prior to the July 1996 event, but that the band had managed to keep those situations private. In October 1998, Corgan convened a band meeting in which Chamberlin was reinstated as the group's drummer, and the band decided to break up after one more album and tour. The band yielded two albums in 2000, Machina/The Machines of God and the freely distributed Machina II/The Friends & Enemies of Modern Music, before performing a farewell show in Chicago on December 2, 2000. While giving drum clinics in late 2009, Chamberlin announced his next project, a band called This. Describing the music as 'progressive, symphonic pop' he reported that the band, also including multi-instrumentalists Mike Reina and guitarist Anthony Pirog, would record with Roy Thomas Baker in Washington, D.C. in early 2010. This released their first album, a six-track release titled Great Civilizations, on November 1, 2010 as a digital download only, on both Amazon and iTunes. No official release announcement was made even on the band's official website. Downloads from iTunes and Amazon were removed after there was confusion over the band's name. The new band name, Skysaw, was officially announced in December 2010. In March 2011 it was announced that the Skysaw full-length LP would be released on Dangerbird Records. On June 21, 2011, the new, extended 10 song LP Great Civilizations was released. The band subsequently toured with label mates Minus The Bear, performed hometown shows at Chicago's Metro and the Black Cat in Washington, DC, and performed on the JBTV Television Show in Chicago, IL. Touring members included Boris Skalsky and Paul Wood of New York band Dead Heart Bloom. On August 23, 2012 Jimmy announced at a drum clinic that he had left Skysaw. In 2011, after introductions by then 1871 CEO Kevin Willer, Chamberlin began working with the burgeoning Chicago tech scene as an investor and advisor. Chamberlin's increased involvement with startups led him to an introduction to LiveOne Inc., a digital media company. Founders Tim and John Ganschow (of Chicago) were presenting their new social platform, CrowdSurfing to an investment group that included Chamberlin. Chamberlin was impressed with the fledgling company and the CrowdSurfing technology and subsequently came on board to support the company both financially and as an advisor. In 2013 Chamberlin became Chief Executive Officer of LiveOne Inc. LiveOne Inc. has since partnered with Yahoo, YouTube, Live Nation, AEG, Vans, Phish, C3, Budweiser's Made In America Festival, Umphrey's McGee, among others. In November 2014 Chamberlin attended Web Summit, Ireland's top tech conference. While there, he spoke of his time with the Smashing Pumpkins as well as on the future of Digital Music at the Web Summit Centre Stage with Adrian Grenier, Chris Kaskie, and Brian Morrissey. He pointed to digital as the medium for artists to truly express themselves and create art that connects with their fans: "Artists are looking for a destination ... [and] digital gives them the opportunity to realize some of those destinations and package them in a way that allows them to be creative". Chamberlin joined Chicago jazz saxophonist Frank Catalano in 2013 for a number of live performances in the Chicago area. Since then they have continued to play live shows and have released a series of albums together. On July 29, 2014, Love Supreme Collective - EP featuring Jimmy Chamberlin, Percy Jones, Chris Poland, and Adam Benjamin was released and quickly became the #1 selling jazz album on iTunes USA. The follow up album, released April 07th, 2015 called "God's Gonna Cut You Down" debuted at #2 on the iTunes Jazz sales chart and was the #1 charting Instrumental album upon its release in April 2015. It reached number 4 on the Billboard Jazz charts. On the 27th of May 2016, a 3rd collaboration between Catalano and Chamberlin was released called "Bye Bye Blackbird". This record features David Sanborn. Billy Corgan announced at an April 2004 solo performance that he and Chamberlin intended to work together again in the future. After appearing on Life Begins Again, Corgan announced plans to "renew and revive" the Pumpkins through a full-page advertisement in his hometown's newspaper, the Chicago Tribune, on June 21, 2005. Chamberlin contacted Corgan to accept, and on February 2, 2006, MTV.com reported that he and Corgan had signed a new management deal with the Front Line Management, with a spokesperson confirming they had signed under the name "Smashing Pumpkins". Chamberlin and Corgan, without the other original members, decided to record an album alone. They played their first show in Paris on May 22, 2007, with three new band members. On July 10, the new album, Zeitgeist, was released. Over the next year and a half, the band released more recordings and toured extensively. On March 20, 2009 the Pumpkins' website announced that Chamberlin was leaving the band. Chamberlin released a blog stating that he left as he felt that the band would not further his commitment to music. Chamberlin and former guitarist James Iha rejoined on a permanent basis in February 2018, and the band is set to embark on a partial reunion tour and release a new album. Aside from the obvious – Keith Moon, John Bonham, Ian Paice – I would have to say Tony Williams, Elvin Jones, any of the jazz greats – Gene Krupa, those people. I think, more and more, as I get older, I've developed my own rock style and I tend to pull more stuff from Elvin Jones and Tony now that I can incorporate it into a rock arena and kind of modernize it. Other drummers that influenced Chamberlin around the recording of Zeitgeist included Bobby Caldwell of Captain Beyond, Lalo Schifrin's Dirty Harry soundtrack, Weather Report, and Return to Forever's Lenny White. Bandmate Billy Corgan has said of Chamberlin, "he's up there with Bonham, you know, that level of drummer, who has been able to play a variety of music and have his style impact the way people play drums. That's the hallmark of a great drummer. And, right now, I think, pound for pound, he's the best drummer in the world." On the Smashing Pumpkins album Zeitgeist and subsequent tour, Chamberlin used a Yamaha Maple Custom Absolute kit with 60° bearing edges, rather than the standard 45°. His kit consisted of two snares (5x12 and the main snare, his 5.5x14 "Signature" model – Yamaha SD-2455JC), six toms (12x14, 8x10, 9x13, and an 8x8 above his floor toms which are 16x16 and 16x18), a 16x22 bass drum. Around 2000, as seen in "The Everlasting Gaze" video from "Machines of God" album, he switched from Sabian to Zildjian cymbals. His setup included four crash cymbals (a 15" thin and three Zildjian A customs – 15", 18", and 19"), an 8" splash cymbal, 15" New Beat hi-hats, a 20" China High, a 22" K Constantinople medium ride, and a 22" riveted swish knocker. He occasionally used a triangle on his kit, mounted above the hi hats. Chamberlin's drumheads are Remo coated Ambassador on snare-side, clear Emperors on tom batters with clear Ambassadors underneath, with a Powerstoke 3 on the bass drum batter. He uses Zildjian cymbals and Vic Firth 5B sticks. His signature snare drum is popular with other drummers – Chad Smith has been known to use it as a second snare drum. On the 6th of April, 2011, Chamberlin announced that he had switched from long-term drum manufacturer Yamaha to Drum Workshop. He has ordered a custom "prototype" Copper Lacquer Specialty with Chrome Hardware. The Shells are a ply combination of VLT Maple and Mahogany with no reinforcement hoops. The kick drum hoops are Solid Black Lacquer. The sizes are 5x8, 7x10, 8x13, 10x14 rack toms; 14x14, 16x16 floor toms; 16x22 kick and with a matching 5.5x14 snare; and a stainless steel 6.5x14 snare. In 2015, Chamberlin began endorsing Sakae drums. His set up consisted of a 22x16" bass drum, 13x9" rack tom, 8x7" rack tom, 10x8" rack tom, 14x14" floor tom and a 16x16 floor tom. His snare was a Sakae maple 14x6. In 2017 Chamberlin has switched from Zildjian cymbals to Istanbul Agop cymbals. In 2018, Chamberlin returned to Yamaha Drums. Chamberlin married his wife Lori on January 29, 2002. Their daughter, Audrey, was born on August 29, 2002 and their son, Lucas, was born on July 10, 2007. Chamberlin and his family currently live on a ranch in Victor, Idaho, which Chamberlin bought in 2001. Chamberlin enjoys a variety of activities, most notably hunting; farming and beekeeping and customizing cars and motorcycles in his garage. 2018: Shiny and Oh So Bright, Vol. 1 / LP: No Past. No Future. No Sun. ^ "Frank Catalano reaches for new sounds after accident". Chicago Tribune. ^ Rees, Paul. "Smashing Pumpkins – Zeitgeist". Q No. 253. August 2007. ^ Chamberlin, Jimmy (1995-10-17). "Smashing Pumpkins Rockumentary". MTV (Interview). ^ The Greatest Drummers Of All Time! gigwise.com. May 29, 2008. ^ a b c d e "Jimmy Chamberlin Interview", Modern Drummer, January 1994. ^ a b "Drummerworld: Jimmy Chamberlin". Drummerworld.com. Retrieved 2007-09-06. ^ a b Knutson, Kari. "Former Pumpkin beats out a smashing clinic". La Crosse Tribune. 2009-12-04. ^ a b Bekkala, Steve. "Jimmy Chamberlin > Biography". AllMusic. Retrieved 2007-09-06. ^ Corgan, Billy. (Interview subject) (2001). Grateful Swans of Never (Video Documentary). Chicago, Illinois: Lipton, Bart (director). ^ a b Kot, Greg. "Pumpkin Seeds", Guitar World, January 2002. ^ a b McKeough, Kevin. "The Beat Goes On". Chicago, March 2003. ^ a b Chamberlin, Jimmy and Billy Corgan. (Interview subjects) (2009-04-02). The Chris Isaak Hour (The Biography Channel series). Chris Isaak (interviewer). ^ Errico, Marcus (1996-07-17). "Smashing Pumpkins Drum Out Jimmy Chamberlin". Eonline.com. Archived from the original (http) on 2007-09-30. Retrieved 2007-02-11. ^ "Jimmy Chamberlin on Twitter". Retrieved 24 December 2016. ^ Lytton-Dickie, Tom. "How is this famous drummer revolutionizing live stream video?". Hot Topics. Retrieved 2015-02-10. ^ Hampp, Andrew. "Made In America Ticket Sales Up 50%, Jay Z Surprise Possible". BillboardBiz. Retrieved 2014-07-16. ^ "Need We Say More? > News > Umphrey's McGee to Webcast Seven Upcoming Shows". Jambands.com. 2013-10-15. Retrieved 2014-07-16. ^ a b Web Summit (6 November 2014). "Web Summit 2014 Day Three - Adrian Grenier, Jimmy Chamberlin, Chris Kaskie and Brian Morrissey". Retrieved 24 December 2016 – via YouTube. ^ "God's Gonna Cut You Down: An Interview With Frank Catalano (Concert Preview: Frank Catalano and Jimmy Chamberlin Live at Andy's Jazz Club - Thursday, April 16 Through Saturday, April 18, 2015)". Retrieved 24 December 2016. ^ "Frank Catalano - Chart history - Billboard". Retrieved 24 December 2016. ^ "Frank Catalano". 27 May 2016. Retrieved 24 December 2016. ^ Corgan, Billy. "A Message to Chicago from Billy Corgan". Chicago Tribune, June 21, 2005. ^ Harris, Chris (2006). "Smashing Pumpkins Reunion Is Under Way, According To Sources". MTV.com. Retrieved February 2, 2006. ^ Mansfield, Brian (June 24, 2015). "Pumpkins Add Original Member for Summer Tour". USA Today. Gannett Company. ^ "Smashing Pumpkins to Go 'Acoustic-Electro' on New Tour". Retrieved 24 December 2016. ^ "Smashing Pumpkins Plot Reunion Tour Culling From First Five Albums". ^ Peiken, Matt (May 1996). "The Smashing Pumpkins' Jimmy Chamberlin" (PDF). Modern Drummer. p. 33. Archived from the original (PDF) on 25 March 2017. Retrieved 24 March 2017. ^ "Ask A Pumpkin: Billy & Jimmy answer!". YouTube. Retrieved 2007-09-06. ^ a b Micallef, Ken. 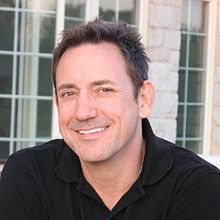 "The Evolution of Jimmy Chamberlin: Still Smashing!". Modern Drummer, November 2007. ^ Baker, Roy Thomas. (Interview subject) (2007-10-30). Inside the Zeitgeist (DVD). Reprise Records. ^ "Jimmy Chamberlin @jccomplex". twitter. Retrieved 2014-09-24. ^ Radio interview with Billy Corgan and Jimmy Chamberlin. Mancow. 2008-08-04. ^ "DW". Facebook.com. 2011-04-06. Retrieved 2014-07-16. ^ "Jimmy Chamberlin Plays DW Drums". YouTube. 2011-05-02. Retrieved 2014-07-16. 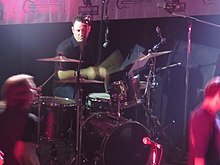 Wikimedia Commons has media related to Jimmy Chamberlin. This page was last edited on 8 March 2019, at 16:44 (UTC).